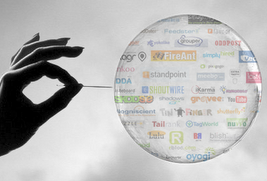 There’s been a great deal of reaction recently to the New York Times story on the new ‘bubble’ – and given the discussions of $4, $5 and $6+ billion valuations for companies like Twitter, Zynga and Groupon, it’s not surprising why. While some, such as my friend John Furrier at SiliconAngle are denying that this is actually a ‘bubble, I am not so sure that whether it is a ‘bubble’ or not really matters. After all, bubbles built this country. I like Fred Wilson’s definition that bubbles are when investors are “throwing money at energetic entrpreneurs with plans, hopes, and dreams.” If that’s the definition of a bubble, it certainly looks a lot like what’s taking place today. What I find more interesting, however, is how many entrepreneurs are not getting funded. ’Bubble’ or not, practically every day I seem to meet another entrepreneur with a dream, a plan, and often a prototype or even a few customers looking to get funded, and not succeeding. No, it shouldn’t be easy – even if it was back in ’99. Yes, there’s a big disconnect driven in large part by how easy it is to launch a startup on the cheap – and if you’re looking to raise a 5- or 6-figure sum (as many of those entrepreneurs are) then the traditional VC route is quite possibly not right for you. But it’s pretty clear that this bubble – or whatever we call it – is focused on a relatively small number of entrepreneurs and businesses. Why is that? He’s absolutely right. As has been discussed ad nauseum in regard to Groupon, there are few if any barriers to building a local couponing business. I just tried counting up the number I’ve personally seen in the last year and I ran out of fingers. But Groupon has managed to put a few thousand salespeople in place and get up to a rumored $500M – $1B run rate. In other words, the Groupons, Zyngas, Tumblrs, Twitters & Facebooks aren’t succeeding because of their plans – they’re succeeding because of their execution. These are some of the companies that have managed to ‘grind it out’- even in the face of one of the worst markets for growth companies that most of us have seen in our lifetimes. Investors are rewarding them with their attention – and their money. On the public side companies like Salesforce.com (with whom I’m spending much of this week) have done the same – in the face of many me-too competitors who claim to do this and that better (and may very well be right) but simply haven’t managed to execute in the same fashion. In other words, this may be a bubble, but it ain’t 1999. Instead, the rewards of this bubble are accruing to a much narrower range of entrepreneurs and businesses. Also, as TechCrunch pointed out today, it’s almost entirely private companies. Will the base of the bubble broaden? Perhaps – but without the type of IPO market we had in ’99 – albeit temporarily – it’s difficult to envision that happening. Google, Apple, Microsoft, Salesforce.com and the other ‘big buyers’ will undoubtedly be aggressive on the acquisition trail (then again, I thought that this time last year too) but they will create at best a small number of big winners. Bottom line – the spoils are still there for the taking, but in this market it’s not about the story or the plan – it’s all the execution. Which, if you really think about it, is exactly how it should be.